Just hearing the name makes you thirsty, doesn’t it? It’s dripping with history and pomp and sausages and, of course, beer. And we’ve got our take on the classic Oktoberfestbier currently pouring in the Tasting Room. Germans. Nobles. Wedding. 1810. Theresienwiese. Music. Beer. Sausages. In Munich, Oktoberfest is basically a two-week long festival of food and beer and general German carousing. The first one in 1810 was to celebrate Ludwig’s marriage to Therese, and those wacky Germans decided it was so much fun that they’d have it every year. Little known fact: the first one didn’t even have beer. We’re not sure what they were thinking. It was mostly a horse race. Because, as I’m sure you’ll agree, every wedding would be so much better if it involved racing horses. It was 82 years before they decided to start serving beer. Eighty-two freakin’ years. The Germans literally added tree climbing to the festivities before they decided to add beer. It’s like we don’t even know who they are anymore. Though, honestly, that was probably a good idea. Climbing a tree after a few steins is not a recommended activity. Of course, Germans being Germans, the Reinheitsgebot rears its ugly head at Oktoberfest. Only six breweries are allowed to serve beer there — the beer must be brewed within the city limits of Munich and it must conform to the German Beer Purity Law. Could you imagine if we did that for Brews by the Bay? It would be a short festival. There are only six breweries allowed to serve beer there; we’ll have over forty at Brews by the Bay! In honor of the greatest German beer festival known to man, and, by extension, Kronprinz Ludwig and his lovely bride, Princess Therese of Saxe-Hildburghausen (gesundheit), CMBC is happily donning their lederhosen and kicking up the oompah music to bring you our very own version of Oktoberfestbier. Clocking in at a delightful 5.8% ABV, our Oktoberfest is a rich and complex amber-colored lager, perfect for the changing seasons. With enough hop presence to show up in the background, Oktoberfest is focused on a grain bill comprised of a blend of Vienna, Munich, Caramunich, Pilsen, and Melanoidin malts, lending the brew a toffee- and caramel-like sweetness with a nutty note. Oktoberfestbier was originally conceived as a Marzen — a March beer. Back in the day, before modern refrigeration, brewers left the beer to cool in icy caves for long periods of time. The beer would clear up as the yeast and other haze-forming particles settled, and, as the beer matured, would taste cleaner. 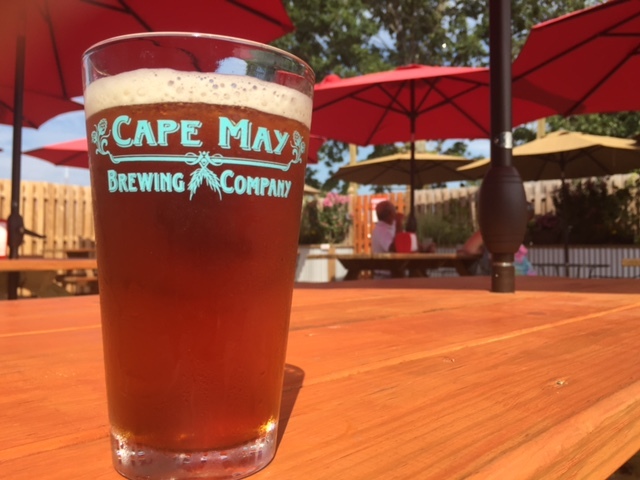 Since there are no icy caves in Cape May — and, let’s face it, if there were, you guys would find them and raid our stash — we just lager this at around fifty degrees for a week, then cold-condition (or lager) at thirty-two for a few more weeks: the result being a mature, clean, and crystal clear brew. Technology good. Technology very good. Sounds good to us. Can’t wait! As summer dissolves into fall, it’s time for some of our favorite beers. We love what we do over the summer, but once September rolls around, it’s time to start thinking about autumn and one of the world’s favorite beers: Oktoberfest. What started as a festival between two German nobles has become one of the largest beer festivals in the world, and we’re proud to add our beer to the legions of honorable breweries that have brewed Oktoberfest brews throughout the years. 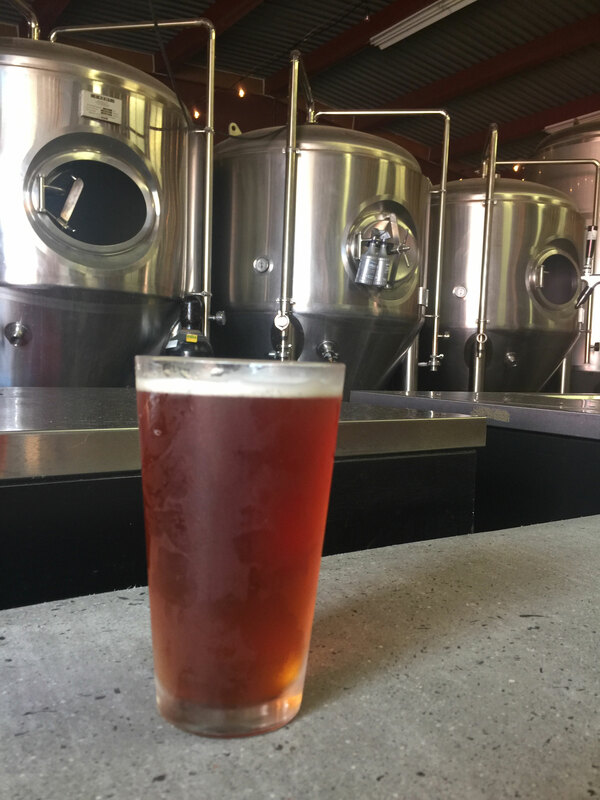 If you haven’t tried our Oktoberfest, we’ve got some reviews about last year’s batch to whet your whistle. 1. Ours goes back on tap this Friday. Cape May Brew Co’s first lager, this 5.4% brew has a deep body, a dark copper color, a malty sweetness and some mild bitterness. 2. But it’s not *technically* an Oktoberfestbier. Kind of like true Champagne — which only comes from the Champagne region of France — true Oktoberfestbier is only brewed within the city of Munich. All anyone else can do is mimic the traditional style: toasty, rich, dark, medium to high alcohol content, clean finish. 3. The style can also be referred to as Marzan, meaning “March,” or the month in which this type of beer was originally brewed 500 years ago in Bavaria. Because beers made in late winter tasted better to Bavarians than beers made in the summer (cold weather killed off beer-spoiling microbes), the Oktoberfest was made in March and meant to last through summer. It was kept on ice in mountain caves and by October, ironically, medieval peeps were usually finishing off the last of it. Nineteenth-century advancements in brewing (hello, refrigeration) meant that March beers could now be made any time of year (hello, fall). 4. Annually, more than 6 million people attend the 16-day Oktoberfest beer festival held in Munich, a tradition since 1810, making this the largest beer festival in the world. Event goers drank 7.7 million liters of Oktoberfest beer at last year’s event alone (although only 6.5 million liters were reported, creating quite the scandal). Fun fact: it takes the festival’s most skilled bartenders only 1.5 seconds to fill up a stein.